How many live plants are in your home right now? 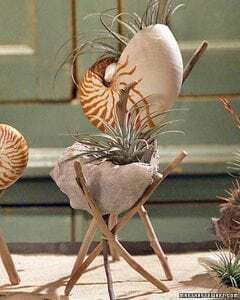 Plants are a great additions to any home, and typically require little upkeep and maintenance. Indoor and potted plants are trending and now is a perfect time to consider greening up your living space. 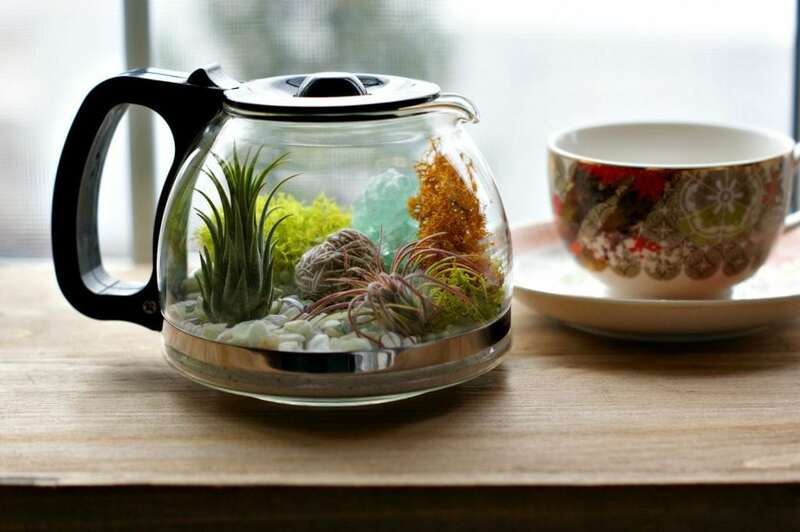 Plants increase productivity, they clean and freshen the air, and act as natural humidifiers. Plants make people happy. Here are a few great ways to make your plants happy without breaking the bank. 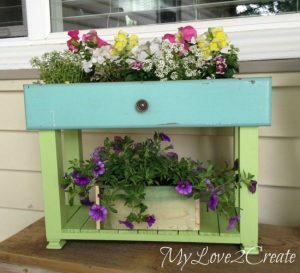 Keep your home green and unique with some upcycled planters. Kitchen gadgets are always getting upgraded and that means they are always getting outdated. While your Kitchenaid mixer is probably safe, you may have a closet with old coffee makers, rusty tea kettles, or non-stick pots that got stuck. These make some great country chic planters that can spice up your kitchen. 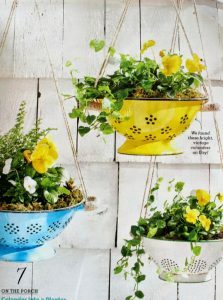 Of course hanging planters are always a great idea as well! Or if your kitchen gets a good amount of natural light, then you can plant your own herbs and keep your pantry and spice cupboard stocked! While repurposing an old toilet is probably a bad idea, having an upcycled planter in the bathroom is not. Many plants thrive in the humid air found in bathrooms, and they act as natural air fresheners. You can use any box, tin, or holder as a planter as long as it fits your available space. You can even use a table as a planter. 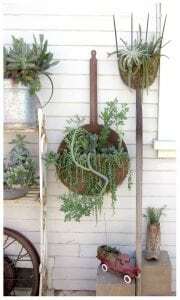 Of course, upcycling depends a lot on what you have on hand or what you can find that matches your style for cheap. 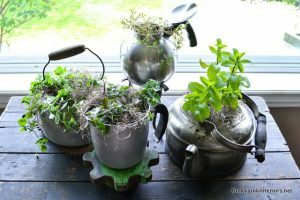 Many of the items that you throw out can hold plants, but not all of them can look good. Finding your style and then finding the planters that compliment that can sometimes take a bit of work. 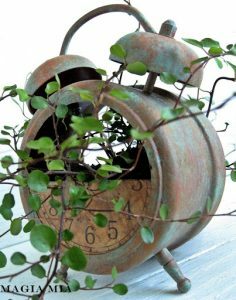 This alarm clock planter came from a broken alarm clock that looked a tad outdated, but with some chalkboard paint and a little bit of spare time, this clock became the perfect vintage looking planter. Of course, if you have enough of something then that can just become your new style! 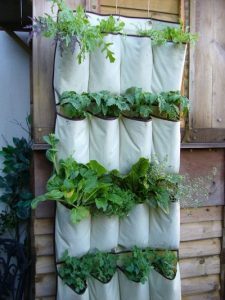 Nearly any organizer or holder like these shoe organizers can be great planters. When kept near your kitchen and some natural lighting they can be a full sized living wall. If you are stuck for inspiration, stop on by our ThriftSmart location to get the perfect planter ideas. You just need a little imagination and some sunshine! Of course, while you’re there, use your extra savings to pick up something special to reward yourself for all your creativity. You earned it!